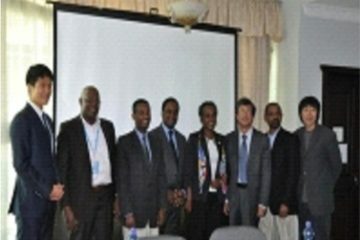 Addis Abeba, April 11/2018 – Students of the Haramaya University, one of the oldest universities in Ethiopia located in east Hararghe Zone of the Oromia regional state, said they were forced to leave campus in search of food after their cafeteria “denied” them providing the free meal service available in state universities in Ethiopia. According to two students who contacted Addis Standard, several students have started leaving campus this afternoon and have walked to the nearby town of Haramaya, about 5 km from the campus, where they are being taken care of by residents. The students said the incident happened after they began boycotting classes as of this week in protest against what they said were “continued detentions” of their student friends by members of the command post. 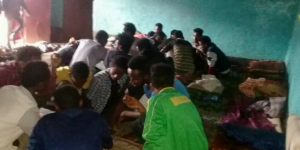 According to the two students who contacted Addis Standard, more than 20 students have been detained by the command post implementing the current state of emergency. The students said they boycotted the classes but the university campus, along with members of the federal security deployed inside the campus, have told the students to begin classes or face dismissals. The closing of the cafeteria as of this morning was therefore part of the university’s ultimatum for the students to begin classes, according to the two students who asked Addis Standard to withhold their names for fear of reprisals. Our attempts to reach out to the university management were to no avail and our repeated calls to the president of the university’s office went unanswered.